Atlanta Personal Injury Attorney specializing in car, bicycle, truck, and pedestrian accidents, as well as wrongful death. At Greathouse Trial Law, LLC we focus on 4 core areas of practice including; Personal Injury, Car Accidents, Motorcycle Accidents, Truck Accidents, Bicycle Accidents, DUI Accidents, Premises Liability, Wrongful Death , Medical Malpractice, and Slip and Fall. Call us to learn more about how we might be able to help your situation. We welcome you to contact us at any time with any questions you might have regarding your legal matter. Since being admitted to practice law in the State of Georgia, Riah Winston Greathouse has been counsel of record in over 1000+ criminal and civil matters throughout the state with a high rate of success. Riah earned his law degree from the Thurgood Marshall School of Law at Texas Southern University in Houston, Texas, where he graduated in the Top 10% of his law school class. 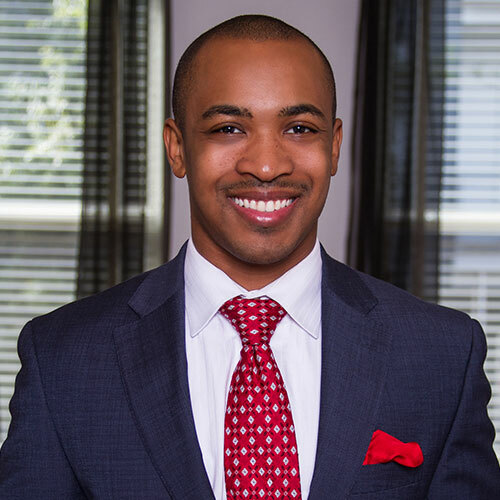 During Riah's law school tenure, he gained invaluable experience with internships with Judge Clarence Cooper of the United States District Court in the Northern District of Georgia, as well as Chief Judge Myra H. Dixon of the State Court of Fulton County, Georgia. The respective judicial internships allowed Riah to gain a keen insight on the method in which judges operate, and how many of them expect attorneys to be prepared when appearing on clients' behalf. Following law school, Riah joined a premier DUI defense firm, where he zealously represented numerous individuals charged with DUI. While representing DUI clients, Riah earned his certification in National Highway Traffic Safety Administration DUI Detection & Standardized Field Sobriety Testing, and attended the National College for DUI Defense at Harvard. Riah has also served his community as an Assistant District Attorney in Fulton County, Georgia for several years, where he prosecuted cases ranging from drugs to violent felonies throughout the county. His service as a prosecutor allows him to offer his clients the perspective of a prosecutor, which often times proves to be beneficial in securing a favorable resolution. After leaving the Fulton County District Attorney's Office, Riah joined a nationally recognized plaintiff's firm, where he represented injured victims as well as estates on behalf of decedents in wrongful death actions, where he has recovered millions for his clients.